mobile service robots for different applications all over the world. environments – our robots know the way. We at MetraLabs are specialists in mobile service robotics with long-term experience. 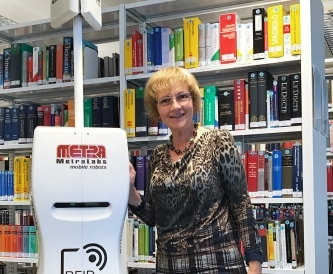 In 2007, we launched the first interactive shopping robot in the world, which was granted the Thuringian Research Award. Since then we have deployed over 250 robots for various applications worldwide. Collectively, they have accumulated more than 70,000 km of driving experience. Our passion for mobile robots has united us since we were students. We strive for a future where mobile robots and humans share workspaces harmoniously and efficiently. 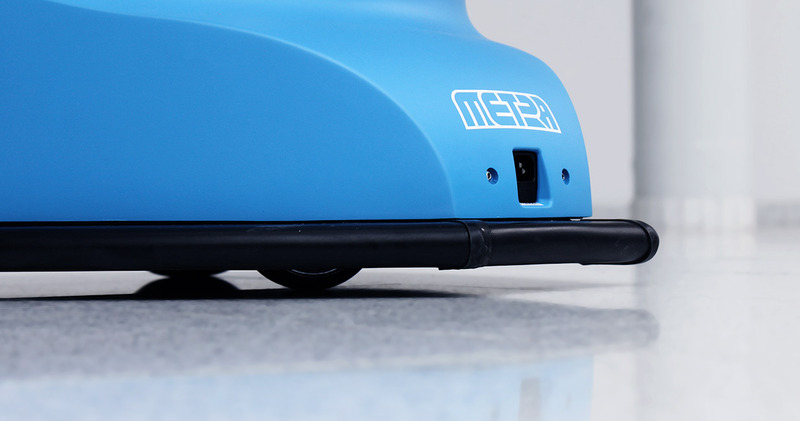 We develop flexible, safe and user-friendly mobile service robots for business clients. Wherever there is a need for reducing the workload of staff, optimizing processes or inspiring people, our robots are deployed. We develop and build our robots by ourselves and on-site at our head office in Ilmenau (Thuringia). Our team consists of 20 qualified and experienced engineers and IT specialists. The key to the effectiveness of our robots is our in-house-developed navigation software. With its help, our robot are capable of orientating themselves in dynamic environments. We guarantee the safety of staff members and customers who interact with our robots. The German technical inspection association TÜV Thüringen has tested the safety functions according to Machinery Directive 2006/42/EC, Appendix IV, No. 21 and have certified an EU technical release certificate. It certifies that our robots will stop safely in case of any and all oncoming collisions. We offer you a personal contact who will assist you from conception to proof of concept up to rollout. Let us develop your robot to your specifications.